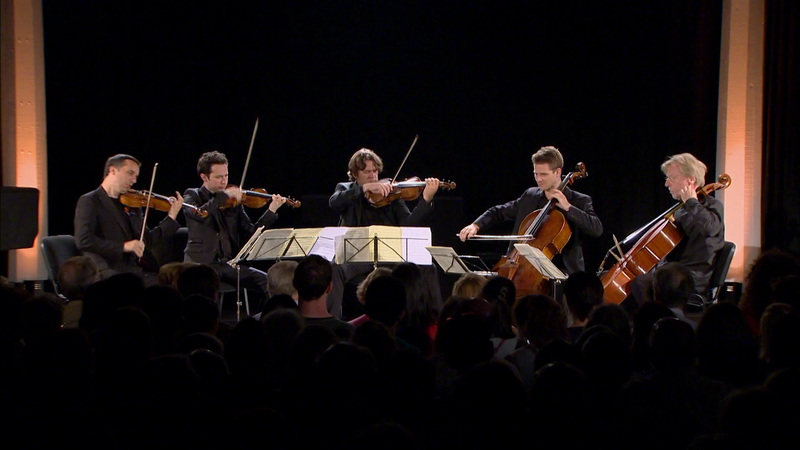 Recorded at the Verbier Festival 2013, this programme features the Swedish cellist Frans Helmerson, joining forces with the Ébène Quartet to perform Schbert’s String Quintet in C Major, Op.posth. D956. Completed just two months before the composer’s death, Schubert’s String Quintet is one of the Viennese composer’s finest chamber works. Thanks to the musicians’ subtle intelligence of Schubert’s style, this rendition of Schubert’s masterpiece preserves the highly contrasting dynamic of the score and puts the force its incredible dramatic tension. A memorable and unique musical event.